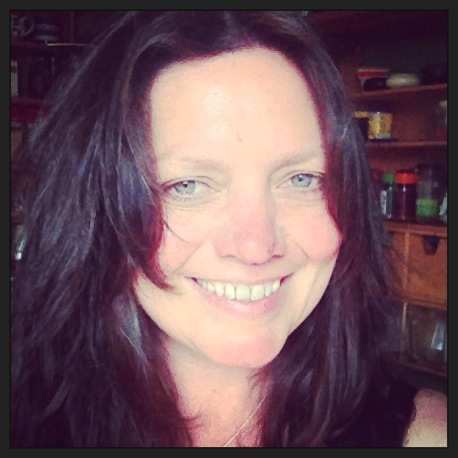 When I was a little girl, my mother asked me where I envisaged living when I was grown-up. Straight away I said ‘a fishing village by the sea’, as if there were a great demand for the same inland. I don’t remember where it came from; what image had so influenced my young mind. Perhaps I had just finished reading Enid Blyton’s The Island of Adventure and was dreaming of rocky coves. And true, my early years had been spent by the sea in Northern Ireland, but this was an altogether different place in my mind’s eye. So clear was the image that I promptly scurried off to sketch the cobbled streets, picturesque harbour and cottages raised above fish cellars. I saw myself sitting on granite steps leading up to a stable door, perhaps with a few pots of geraniums for company. So no wonder when I first came to St Ives, it felt like coming home. I’ve been here so many times since now, that I can hardly see it to write with fresh eyes…yet there is much to say. The trip takes you out of your seagull-cushioned comfort zone into wild nature itself; nothing but the sea and the impenetrable granite landscape. But first, leaving St Ives, it passes Porthgwidden, a small sandy cove which offers shallow bathing and so is popular with families with young children, and my personal favourite, the beautiful surfing beach, the mighty Porthmeor, overlooked by the Tate St Ives. And the fifth beach? It might be easy to miss the granite steps that lead down to small rocky Bamaluz, a place to escape the crowds and walk the dog. 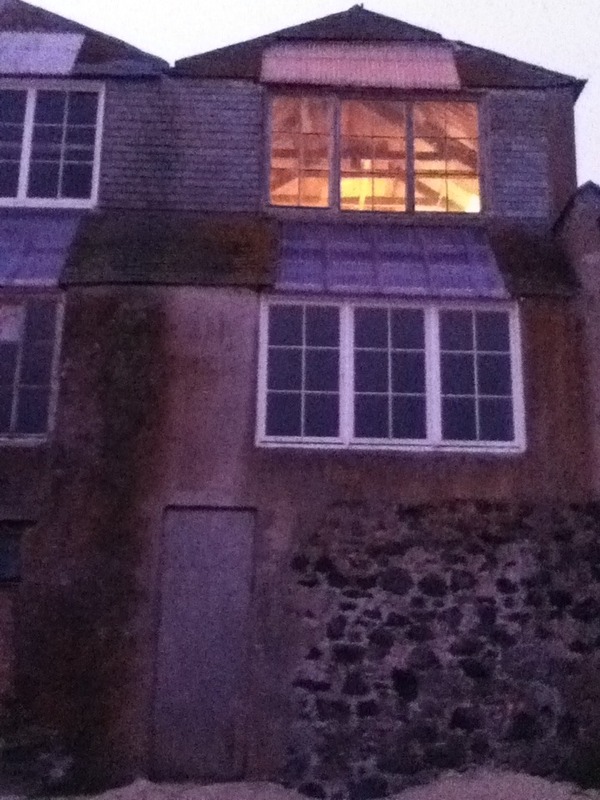 You can find it near the St Ives Museum. An old galleon compared to the Tate’s commanding great white ocean liner; the St Ives Museum is a treasure trove in respect of the town’s history. It is here that you get a real sense of the hardship endured, of a small town trying to eek a living from the land and sea, from farming, fishing and mining. And, especially on a day when the wind and rain lash outside and the sea is wild and raging, a real sense of the danger, and the lives lost in countless shipwrecks around the coast; and the bravery of the earliest lifeboat-men, and indeed all the townspeople, who would rally to help those in peril of shipwreck. It is these thoughts that dominate when bouncing around, in insignificance, on that tiny fishing boat. There was a time when, back-packing around the Greek islands I would have sat on the bow of such a small boat, shrieking with carefree laughter as my bare legs were plunged into the water. Here, on the Atlantic, many years later, I am afraid. Perhaps it is the passing of time: I no longer have my whole life stretching before me, with the confidence and surety that brings. But it is also a respectful awareness of the ghosts of the lives lost in these waters. Alfred Wallis: The Wreck of the Alba. The ship’s boiler, easily mistaken for black rock, can still be seen at low tide on Porthmeor beach. It is easy to dismiss St Ives as a ‘tourist town’, and it is, of course: apart from the many who rent holiday homes, it attracts masses of day-trippers. A friend of mine told me that apart from his own family and an elderly lady, every other house in his Downalong (the old fishing quarters) street is a holiday rental. 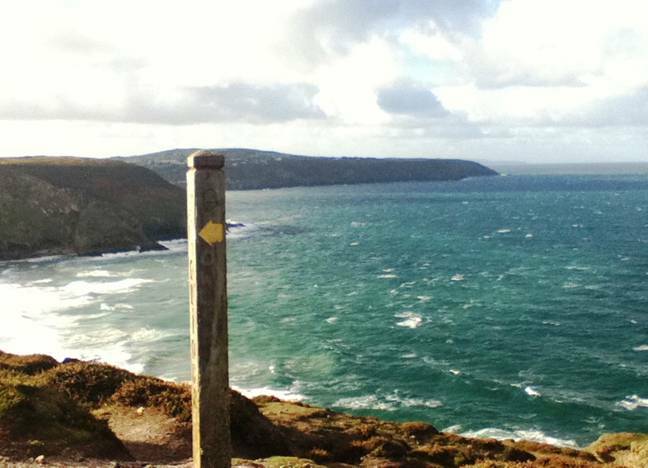 My friend was born in St Ives and has a family history, a heritage, here. But for many young people of the town it is increasingly difficult to be able to afford to stay, with house prices being so escalated by the demand for quaint, refurbished lettings. I could argue that it is equally hard in London (it is), but many young people in St Ives work two, sometimes three jobs in the summer months just to get by. And I cannot help but feel dismay to notice certain outlets, once intrinsic to the town’s flavour, being driven out by high rents. Where once it might have been enough to stay in a characterful but basic fisherman’s cottage, I now see the word ‘boutique’ everywhere, and with rumours (I saw the plans on twitter) of some ‘executive beach huts’ being built on Porthmeor, there is some danger of St Ives smothering it’s heritage and becoming a theme park; an elitist caricature of the hardened fishing and mining village it once was; to lose the memory of a time when sea views did not come at a premium, but rather cottages were built huddled in clusters with their backs to the ocean as if for protection. The sea was a livelihood, but to be respected and feared. Except… it isn’t. Not yet. Despite the economical inevitability of tourism, St Ives still has a vibrant local community, which thrives not only in the arts, theatre, surfing and much more. There is a sense of freedom and an innate connection with nature and the sea; I love to see the town’s children effortlessly back-flip off the pier at high tide, or a teenager skateboard rebelliously the wrong way down the one-way system, dodging holiday traffic, with an umbrella in the rain. There is a forward thinking buzz that extends to the towns forty or so independent restaurants which on the whole (and notwithstanding the arrival of a renowned pizza chain and a Tescos in recent years) source local produce, thus supporting ethical aims and putting money back into the local economy. But more than that, there is still something special about St Ives. Like an unexpected kiss on the cheek, or a happy, stoked smile from a stranger. Just the sight of sand blowing across the cobbles on a sunny evening when you return, exhausted and ravenous from a day in the ocean or walking the coast path, or of wetsuits hanging in the street where once would have been laundry or sails. Or maybe sitting by the Arts Club in the dead of night with the black sea crashing up over the harbour wall, there is still something residual; a character that resonates through the years and the gentrification. I love Porthmeor beach. The first time I saw it I knew I would be back. It is especially beautiful in the early morning or in the evening, when the summer crowds have gone home for tea and to tuck the children up for the night in their Cath Kidston-covered duvets. Given that it is just a short distance away from the evening revelers at the 13th Century Sloop Inn and the harbor restaurants, it can be a surprisingly quiet place for an evening stroll; to watch the sunset surfers, or when the sun sets spectacularly over Man’s Head, to star watch. The word ‘Idler’ can inspire a wealth of negativity. For many, it conjures up an image of slacking, or even scrounging; of not pulling your weight at the expense of others. It goes against the concept of the modern work culture and ‘contributing to society’. And let’s not forget that the devil, no less, will find work for you. But that’s not what it means. I was brought up in a protestant work-ethic environment where even on Sunday, the so-called day of ‘rest’, there were puritanical rules imposed. What should have been a free day of reflection and idle pleasure was somehow twisted into a ban on doing anything at all. Rather than be able to loll the day away guilt-free in play or dreaming, a regime of Sunday school study was imposed; even reading was forbidden unless it was the Bible or the mindless memorizing of Catechisms. Joy and fun were guilty outlaws. But even then I knew something was wrong. It was obvious even as a child, perhaps especially as a child, that we were not supposed to spend our days in such rigid, time-thieving routine and rule-bound enforced activity. And even my indoctrinated, pre-agnostic self saw clearly that, ironically, Jesus promoted idling. Consider the lilies, my friends. There are others more well-read and qualified to explain than I, but for me, to embrace the philosophy of idling is merely to remind ourselves that our lives are not solely for work alone, but for reflection, study, creativity, and dare I say, pleasure? Idling is about making time for the act of living. That is not to say that to idle is to do nothing. Those who choose to bring up their own children, for example, will not be waged but try and tell them that they do not work at your peril. I find it curious that if someone is employed to look after your children they can hold their heads high in society by answering that most insidious of questions ‘What do you do?’ As a ‘child minder’ or ‘nanny’ they escape scrutiny because they are paid for their efforts. If you are the child’s parent performing the same tasks on an exhausting twenty-four hour basis with no time off and not paid for the delight, then you are deemed a work-shy ‘stay-at-home’ with all the implications of doing nothing. But this is just an illustration. With or without children you can ‘idle’ your time away quite spectacularly by say, growing vegetables, cooking fresh food from scratch, ‘foraging’ by foot on a daily basis rather than stockpiling food once a week by car… all laborious tasks, but you get the picture. Think of it as constructive idling – and the more self-sufficiently and independently you can live, the better. Ideal idling requires self-employment, but part-time waged work is an alternative. In short, the Idler does not necessarily work less, but often does less work for money. He may be money-poor, but time rich. Yes, you cry, but what about the economy? Will not all society collapse if we all become peaceful idlers? Er, take a look around… but I hear you; idling is all very well and good for artists and philosophers, and independently wealthy ones at that. We all have bills to pay and mouths to feed, and whilst anarchy and self-rule appeal, they should be tempered with co-operation. But which is the easier, lazier path? To take full-time waged work that you might not necessarily enjoy or even care for, for little more than the prescribed reward of an exhausted, disgruntled flop on the sofa at the end of the day with a stiff drink and the TV? Or to have what I like to call a ‘healthy disrespect’ for money and usury in all its forms in order to pursue what inspires? Incidentally, on the subject of wage-slavery, I would be bold enough to suggest that the work-place has changed so radically of late, with job insecurity coupled with a longer working life and no guaranteed pension, that I would personally consider this a deal-breaker. The standard three to four weeks annual leave may be just about acceptable if there is some promise of retirement in sight, but if you’re selling your soul for the rest of your days then I’d be looking at three to four months annual leave a year. At least. There is a long history of Idlers; from Aristotle to Samuel Johnson, Jerome K Jerome, Robert Louis Stephenson, and many more. And Keats wrote an Ode to Indolence; so good company then. In more recent times we have Tom Hodgkinson to thank for considering the history of these ideas along with his own delightful observations in his books ‘How to be Idle’ and ‘How to be Free’ (he’s really not paying me), which manage to be both erudite and very funny. And now there is an Idler Academy too. Huzzah! I do not claim to be a proficient idler, but merely working my way towards it. I know that the way in which modern life has developed leaves most of us with little choice, but even to think about things differently; to entertain the idea of less work and more free time might lead to a more carefree state of mind and consequently a less stressful existence. Let’s just take time now and again to remember our lives belong to us. And just one small act of rebellion a day might set you on the path to freedom. Huzzah! 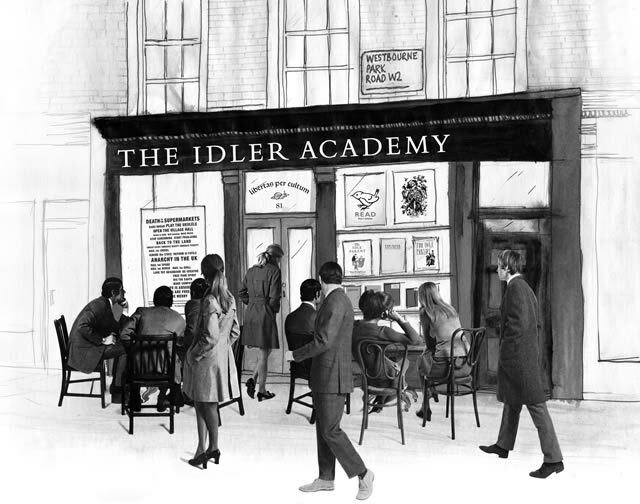 For all idlers, ramblers, dreamers and flaneurs, there is now an Idler Academy.